Here we attached our sample book with matte wood grain and embossed wood grain PVC furniture film. 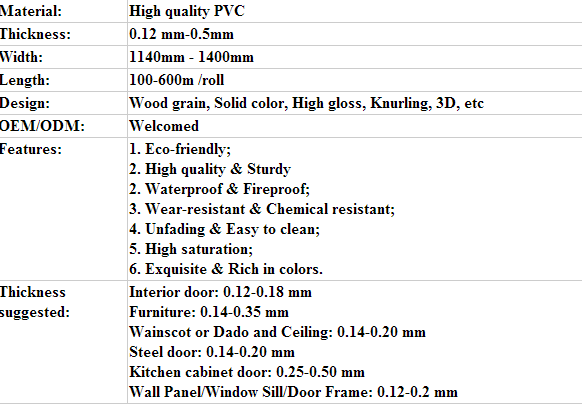 Welcome to ask for 3 meters PVC furniture film free sample. We are specialized engaged in the decoration design, production, sales and construction in the integration of PVC furniture film, annual production capacity of 10 million meters, with a total investment of 160 million Chinese yuan, covers an area of more than 3000 square meters, including all kinds of technical management staff more than 40 people. 1.Are we a professional manufacturer? Yes. We are professional manufacturer of PVC furniture film with various design. 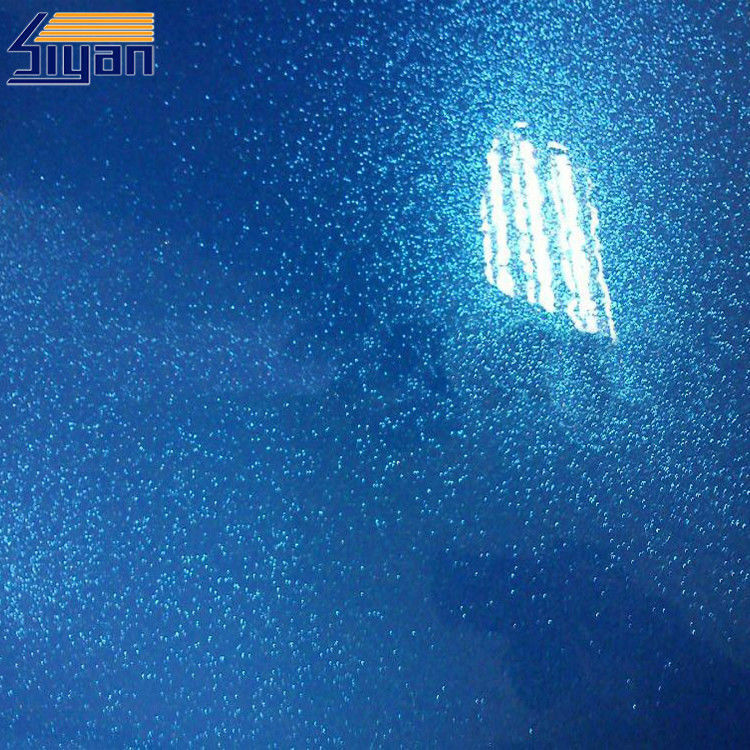 Our PVC furniture films are widely used in office furniture, kitchen cupboards, construction decoration and customized furniture products etc. Yes. 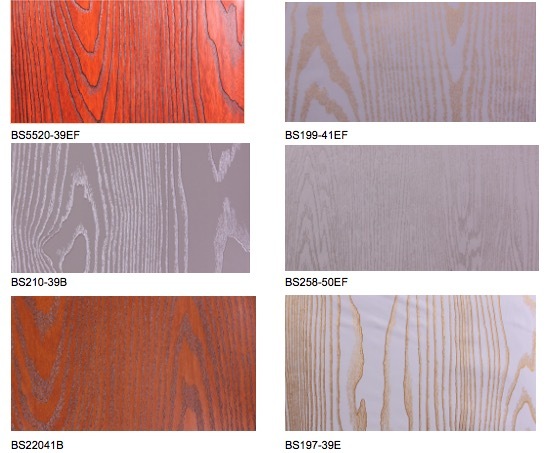 We are happy to provided free samples of PVC furniture film by courier express, like DHL, UPS or Fed-ex. It would take you the freight fee. 3.Can I customized my order? Yes. As a professional decoration supplier, we are trying to make sure any PVC furniture film could be customized in terms of LOGO, size and design. While, some complicate design fee will be charged. 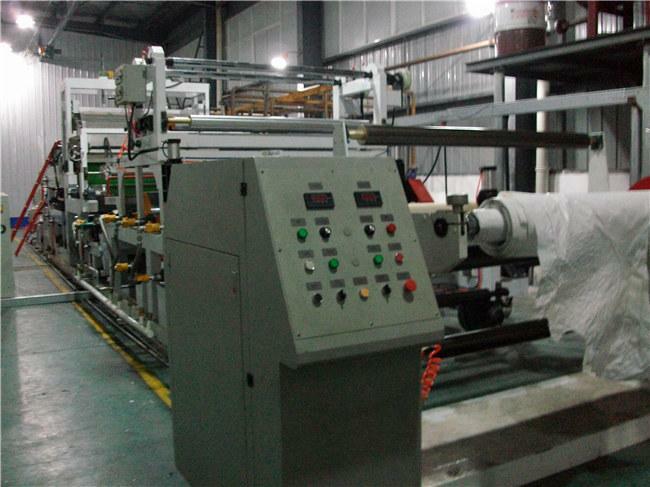 Thanks for visiting our company website. We are looking for your concerns and inquiries about our PVC furniture film!